at 15th & Beall where we have our monthly membership meetings. This is not a Member’s Only gun show as table sales will be open to vendors outside our club and admission will be open to the public. 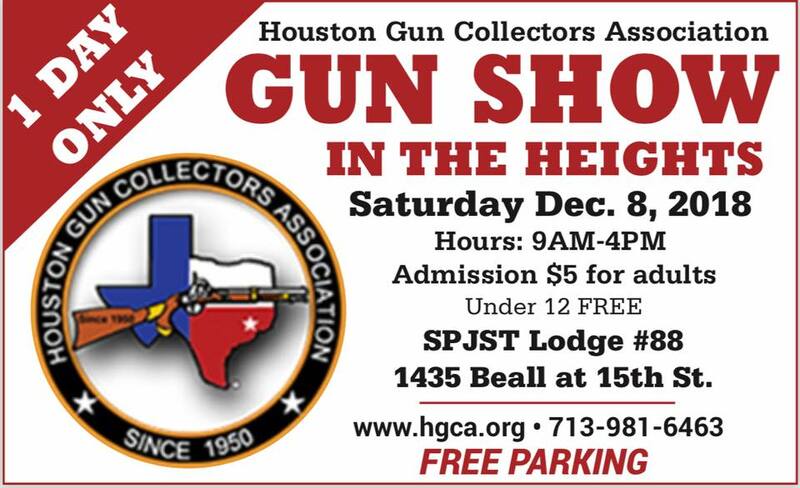 There is no competing gun show in the Houston area that weekend. The closest gun show is in Orange, TX. We anticipate having 85-95 tables available. Tables will be $35/table for 6′ tables. Set -up hours will be 7am-9am Saturday. Take down hours will be 5pm-7pm. We will have use of the baseball field for additional parking. We will advertise locally, on social media & by email. 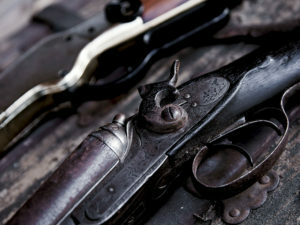 Same rules will apply as to our NRG Arena show regarding firearms & ammunition safety requirement. We will have HPD working security in the hall as well as in the parking lot. Due to the limited number of tables, we are opening the table registrations to our members first. Table assignments will be on a first paid/ first served. Please contact the HGCA office at 713.981.6463 to reserve your table(s) or register at our club meeting in October if there are still tables available.